Offer your guests a seat on the comfortable Pro-Line II™ deluxe armless folding chair made with a sturdy titanium frame. These chairs can be customized with your choice of over 100 fabrics and come complete with dual wheel carpet casters for easy mobility. 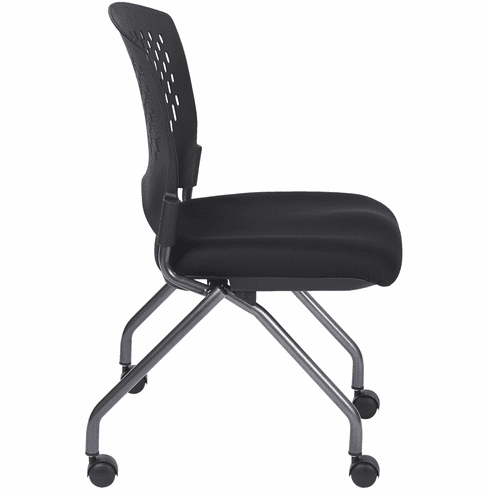 These chairs are designed to fold up horizontally to allow them to be nested so you can free up space in your office when not in use. These chairs are sold in sets of 2 and are backed by a limited lifetime warranty.